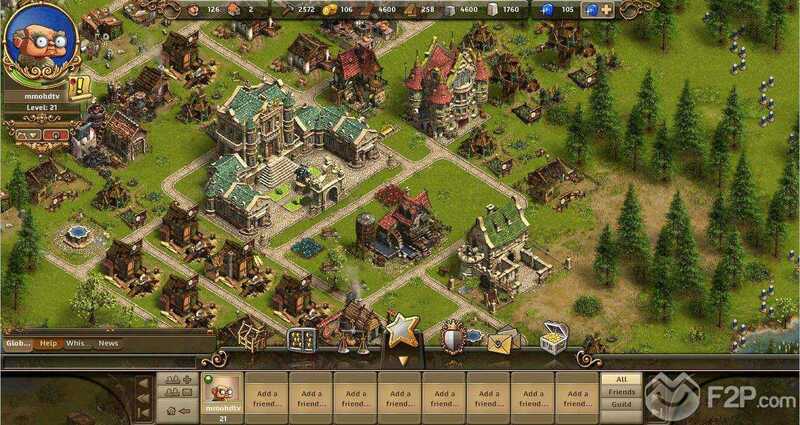 “The Settlers” is the name of a city-building game franchise that tops the charts in Europe for nearly 20 years now. In 2012, German developer Blue Byte decided to take the next step, making a run into the online league with The Settlers Online. And, of course, we wanted to take a look at the last instalment of the franchise although the international version of the game is still in Closed Beta testing. We also had a look at the German version, which is the final one. Comparing both versions we really couldn’t identify any significant changes, though. The registering process is a no-brainer but one thing must be taken into account: high populated servers are more likely to have a newbie-friendly trading system where players buy and sale resources at reasonable prices, which isn’t the case on low populated servers at all! The premise of the game is known and simple: you have a bunch of settlers and the will to build a prosperous medieval community on a (fairly) deserted island. Players start in one corner of this island with nothing more that their town hall, the Mayor’s House, and… oh yes, a tutorial which will guide them through the interface, economy basics and so on. It becomes quite quickly and pretty clear that resources are the most important thing and that you’ll need to gather constantly as much as you can to advance. Like the majority of online games of this type, TSO bases its game system on levelling up by completing quests, such as “find your first deposit of marble” or “build a brewery”. 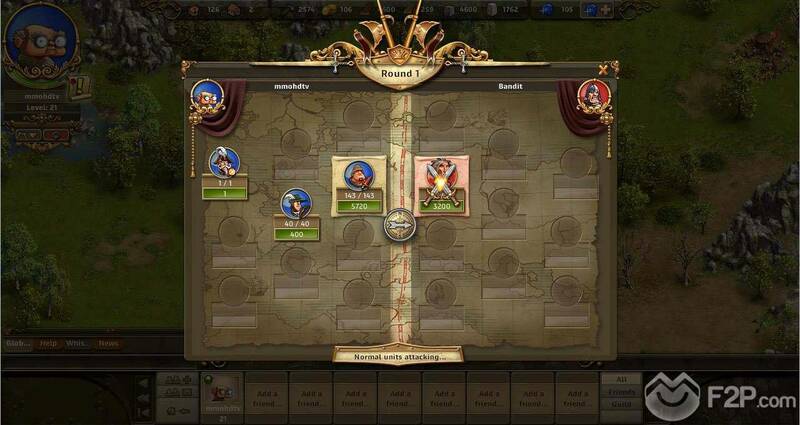 The first quests are quite simple and, as already mentioned, guide players through the basics. Some are even superfluous, but well… there are newbies and newbies. There is no ultimate goal within the game. Players must run their communities as smooth as possible, gaining levels (up to 50) while trying to establish an economic system strong enough to reach level 25 with some solvency. From this level onwards, players can venture on adventures to gain even better constructions and to get a lot of “expert” resources and items. But how do they say? “The journey is the destination” - so have fun while playing! Being a Flash-based game doesn’t keep The Settlers Online from having high detailed graphics. The overall design still remembers that from the franchise’s the very first, with detailed 3D models and an isometric perspective, which should be well known to all fans of these games. The game also incorporates a zoom option, which allows to quickly reach all corners of the island without renouncing the economy of movement and yet delighting on the nice buildings and details of nature, settlers on the move and buildings at work. The animations are well-designed, even with a touch of humour, which is a trademark of the franchise. The interface is pretty simple and functional, making all options available with two clicks at the most. 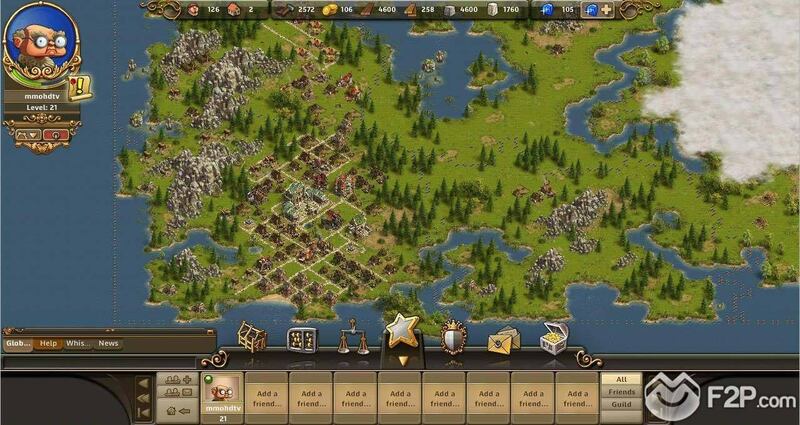 On the top of the screen, players can find information on the current amount of population and basic resources. 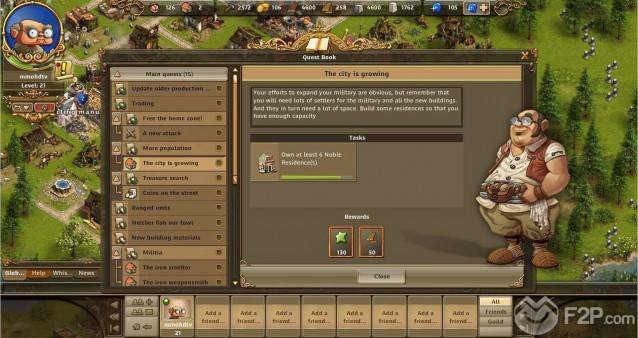 On the left, there’s the player’s avatar with the experience bar as well as the game options, while the bottom section encompasses the social, help and gameplay menus such as building or economy overview. All menus are slightly transparent. The system bases on gathering resources (of course!) and using them as cleverly as possible to maintain the whole system healthy and prosperous. And if the economy is not that perfect… well, what is the Trade Office for? Since TSO is also a social game, the next best thing to positive economics is trading with friends and other players. But back to economy, there are four basic sections: building materials, food, weapons and resources, the last one being the most important of all, since the rest of them is directly and absolutely dependent on them. Resources and end products possess an associated manufacturing tree of at least one step. 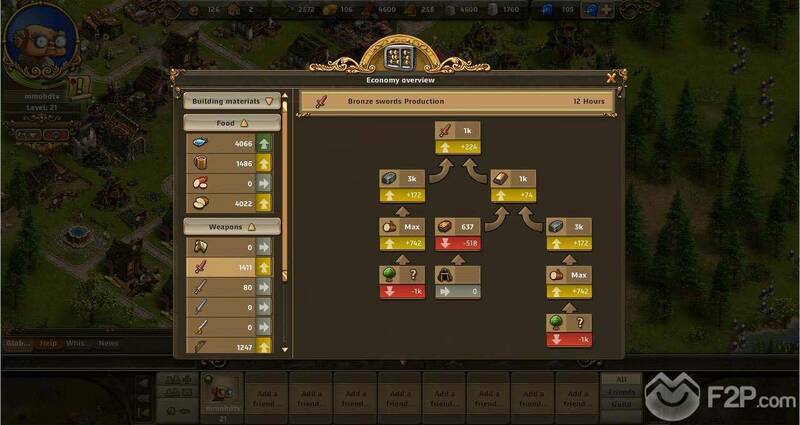 Some products and resources such as swords, tools or iron depend on two or more manufacturing trees and/or sub-trees. Because of the resources consumption spreading continually broader and wider between so many production trees, managing the economy becomes a very tricky task. Quite at the beginning of the game, players are allowed to build the Trade Office. This building permits trading with other players, which initially allows closing the holes on the still imperfect economic systems. As already stated above, on high populated servers, people tend to maintain low prices on all products. On the low populated ones, players can really have a hard time to achieve some quests. Good to harden characters and good economy systems, though. And last but not least, you have gems as master currency with which players can buy special items, to boost their economy or simply as decoration. Gems are incredibly hard to earn, of course, and albeit they can be purchased with real money, we think that this makes the game just boring. Our hard-working settlers are not alone on the island. Many bandits have settled their own camps island-wide and sooner or later players must take good care of them. After having begun to produce bronze, we received some tasks aiming at building up an army: We had to hire a general, to establish a garrison, to build barracks and finally to manufacture some bronze swords to attack our first camp. The difficulty of camps increases the further you expand on the island. Bandit camps are tagged as easy, medium or hard, plus the bandit leaders, who have camps of their own. The tags are really too generic, though. The most important information is how many (and of which type) bandits there really are. Some types are better than others and we had to choose our own troops carefully. At first, that task is pretty easy, but by gaining levels we had learn to divide our efforts to outmanoeuvre our enemies without loosing too many troops of our own. Each type of troop possesses some characteristics such as hit points, damage and so on. Some types have skills, such as “first strike” or “cautious”. 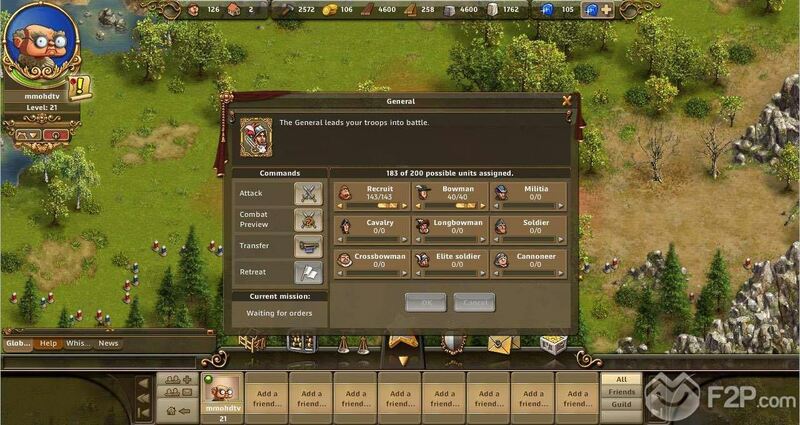 The game has a combat preview option which allows to know the result of a combat in general terms (up to 20% losses, between 20% and 50%, up to 90% or complete fail), albeit this helps little to achieve the goal of limiting the losses as much as possible. 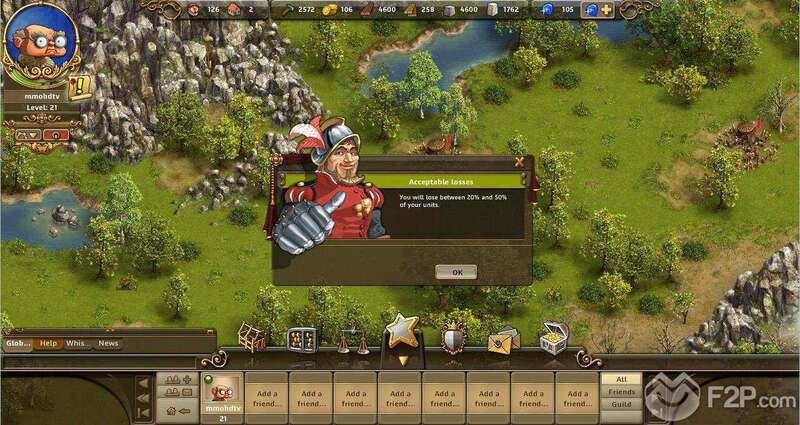 As the difficulty increases and the amount of troops a general can lead into battle is limited (200 for the matter), you’re able to hire more generals. The game doesn’t allow combined attacks, other than attacking in several waves. If the enemy is too strong, your first general will lose all his troops and will be defeated, but your next general can attack the same bandits, who are already decimated. 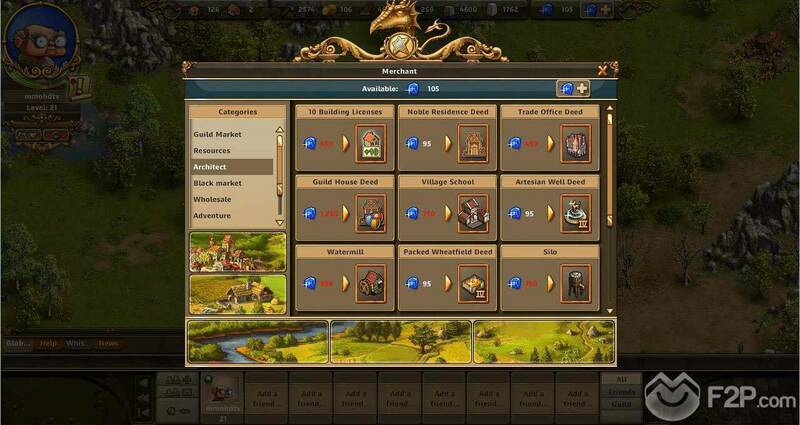 The Settlers Online has already a good established community based on forums and in-game chats. Players are encouraged to join an existing guild anytime they want. At some point, players will have enough resources to build their own Guild House to found their own guilds. Becoming a guild member permits to have and earn guild coins to buy special items from the merchant. Players can add friends to their lists. Friends can buff buildings of their comrades with 50% extra duration, which makes buffing more efficient. Trading between friends allows completing quests without the necessity to wait for buying offers on the open market. This is especially useful on low populated servers. 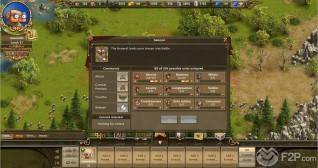 The Settlers Online is a game of patience par excellence. After having accomplished quest after quest up to level 20, the game becomes rapidly a game of economy planning, good timing in taking decisions and lots of patience indeed. But city-building games are all about those ideas - so… make yourself comfortable and have fun! This title definitively deserves trying it out!